Tia Benson Tolle graduated from the University of Washington with a Bachelor of Science degree in Mechanical Engineering. She also earned her Master of Science and Doctorate of Philosophy degrees in Materials Science and Engineering from the University of Dayton. In addition, she holds a Masters Certificate in Leadership and Executive Development from the University of Dayton and completed the Air Force Senior Leadership Development Course and Air War College Senior Leader Course from the Air University, Maxwell Air Force Base. Dr. Benson Tolle joined NASA’s Johnson Space Center in 1983 as a co-op student and in 1986 as a Flight Crew Instructor in the Space Shuttle Flight Training Division, Mission Operations Directorate. 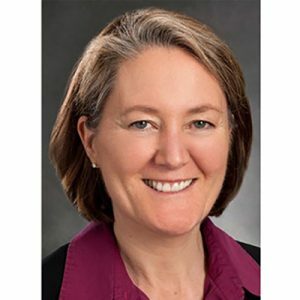 In 1989, she joined the Flight Dynamics Laboratory, Wright Laboratory, as a Composite Structures Program Manager in the Advanced Composites Advanced Development Program Office. Dr. Benson Tolle joined the Materials and Manufacturing Directorate, Air Force Research Laboratory, in 1992. She held several positions, including Chief of the Structural Materials Branch and lead of the Composites Core Technology Area. During this period she was responsible for materials for satellites, airframes, engines and launch vehicles spanning basic research to advanced development and transition. In 2007, she was assigned as the Technology Director of the Nonmetallic Materials Division. She was also USAF Deputy to the DoD Reliance Community of Interest for Materials and Processes, coordinating research interests across Defense Science and Technology.